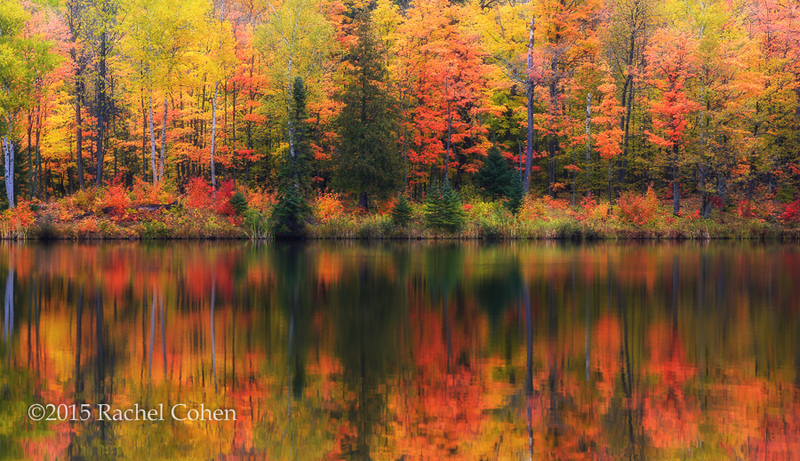 Earlier this past fall, I made a week long trip to the Upper Peninsula of Michigan. I knew that fall color was a little later this year than last so I felt really good about my timing. What I couldn’t predict, and really, who can, was the weather! During the seven days there I had only one day of sunshine, but without a cloud in the sky. The rest of the days were either rainy or at least drizzling and or foggy. I had so hoped to see Lake of the Clouds in good weather. Oh well, it certainly was “In the Clouds” is all I can say! Both fog and mist! 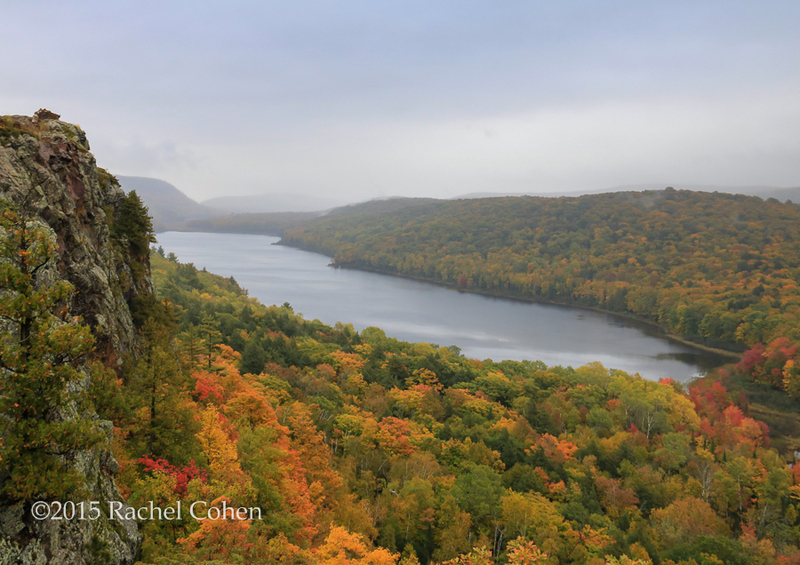 A foggy, misty, and rainy day at Lake of the Clouds in the Porcupine Mountains of MI. After leaving Lake of the Clouds and the Porcupine Mountains, the weather only got worse. I headed east towards Marquette, having rain coming down in buckets at times, and at other times a drizzle or mist. About halfway between where I was, and where I was going, I passed by Lake Plumbago. My eyes nearly popped out of my head! Wow amazing reflections! I made a U-Turn in the middle of the road and went back to a lovely roadside park next to the lake. It was mildly drizzling at the time so I got out my tripod and camera and spent the next 15 minutes or so there just making photographs of the fall color and reflections and really just enjoying the eye candy! Beautiful Lake Plumbago on a misty and foggy day. The reflections were amazing though! We’ve had a pretty dreary winter this year, not as much snow, but plenty of clouds. I’m really ready to see some amazing color! I will have to wait half a year or so to see this kind of color again, but in the meantime I’m getting ready for the arrival of spring flowers! I hope your area has started to see some signs of spring, or if you live down under, I hope you are beginning to see some brilliant fall foliage! Stunning photographs Rachel, those colors are very eye catching.